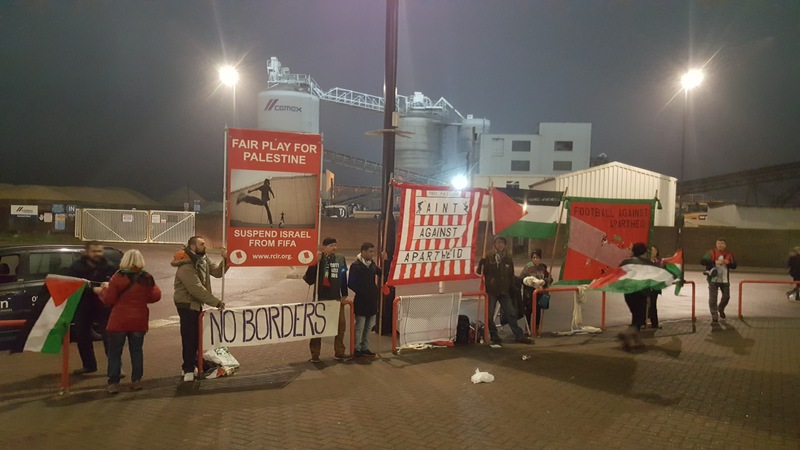 About one hundred PSC activists from Southampton demonstrating against the Israeli team the were joined by activists from Portsmouth, Brighton and London. 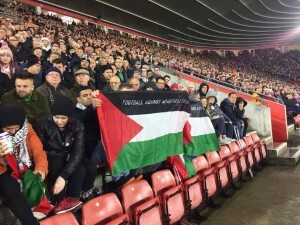 They displayed RCIR’s banner “Fair Play for Palestine” and the “Saints against Apartheid” banner. The Palestinian flag was displayed inside the ground. Unfortunately for Southampton a 1-1 draw was not good enough to get them through to the round of 32 making way for Hapoel Be’er Sheva.